That they walk around holding hands without prompting. – Emily K.
Everything but especially how they always want to be together. 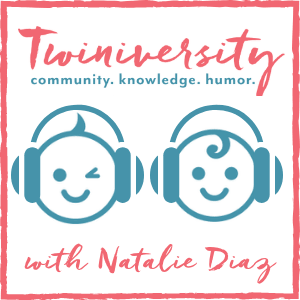 – Deb M.
I love how they are always looking out for each other! If my daughter wants milk, she will always make sure to bring her twin brothers cup as well. If my daughter is crying, my son will go pat her back. They will be two in a week! – Sarah P.
Seriously. I love every moment. I know that I only have a limited amount of time with them before they fly off into the world. And we worked so hard to have them. I cherish the moments. The small ones. The big ones. All of them. 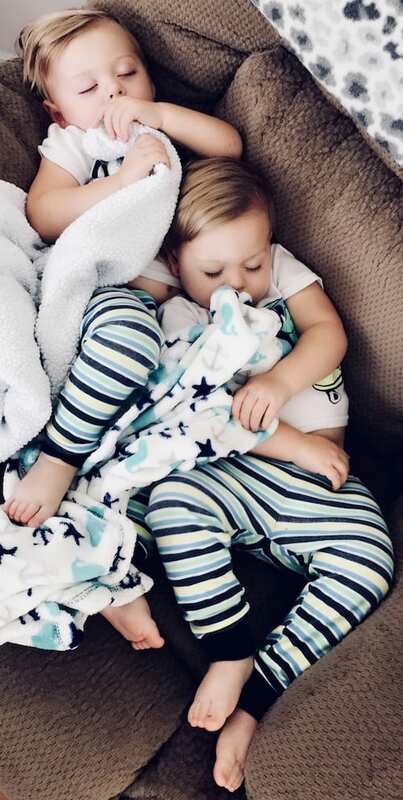 – Amber D.
While I will never forget what it feels like to have two newborns laying on my chest. My favorite moments come on a daily basis as they interact with one another! The love and connection is absolutely unbelievable. – Laurie O. One of my favorites, of which there are many, was the first time they had a gigglefest. Just making each other laugh, it is the most beautiful sound in the world. Just this week they’re both sick right now, Heaven help us, and one twin was having a meltdown. His brother came over and started patting him on the back. They just turned one so these little interactions are precious moments. – Melissa C.
Right now its hard to think of the good moments. I’ve got two sick little boys. Sleeplessness and coffee are banging down my door. But ya know what, even though they feel like crap that cute little smile pokes through to make it all worth it. – Teal R.
So far my favorite moment is when the one cries the other looks for her sister to see where she is. Even though they are only 2 weeks and 1 day old they are able to sense one another and they react to each other which is amazing (and adorable) love my baby girls. – Jenn B. Well, mine don’t “hold hands” or do anything specifically “twin”. They fight and play and drive all of us crazy like any other siblings would, but when Syd ranked up to Cadette and Drew ranked up to Boy Scout, they finally had matching Scout uniforms and I could jokingly say they were “twinsies”…. I love all those little moments where the three of us can just laugh at life’s twists and turns. – Traci R.
Breastfeeding them. It was the way they looked at me while they nursed. Makes me wanna cry now. I was only able to breastfeed for 3 months but I loved every minute of it. They’re 3 now and complete goofballs! – Melissa L.
Seeing how close they are, but seeing their different personalities blossom. I love when we give one something (a snack, anything) and they ask “what about sissy?”, looking out for each other. – Rosa B. 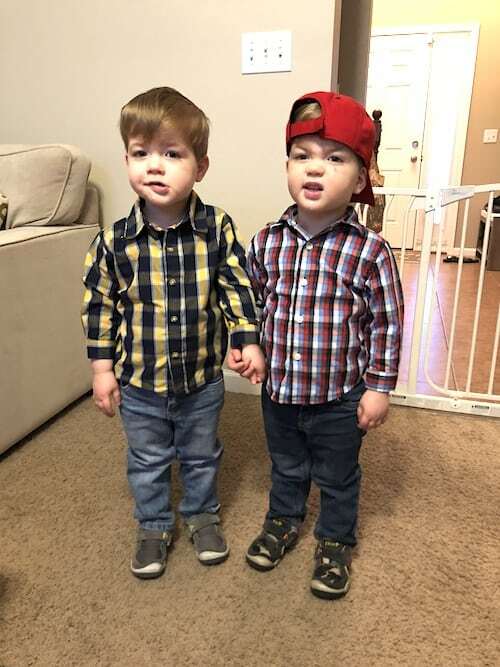 The hugs, kisses, hand holding and constantly looking for bubby if they are separated for more than a minute. It’s so precious! The twin bond is real and it’s super special 💙💙 – Jessica H.
How can you choose just one! The day they were born! The first time they kissed! The first time they slept through the night! The first time they met their little sister! Too hard to decide… – Jo R. Everything!! But, watching them walk across the stage to get their High School Diploma! The first few years of their life was scary, with so many obstacles! – Nancy M.
Our girls’ bond. Actually all three of our kids are ridiculously close but our twins definitely have ‘the bond’. It’s a beautiful thing to see! – Leah B. Watching my twin boys play with each other!! They are 4.5 months old and just recently became aware of each other and it is amazing! – Brittany B. Just tonight, I was tickling them and they both had the same laugh and smile. It was so cute. 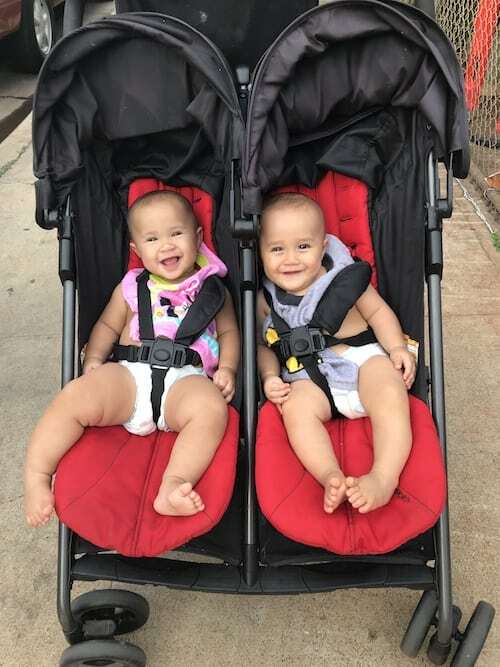 They are 2.5 b/g twins. – Holly B. Mine are 20 (years!) – just seeing them be there for each other – studying, relationships, you name it – is so awesome. 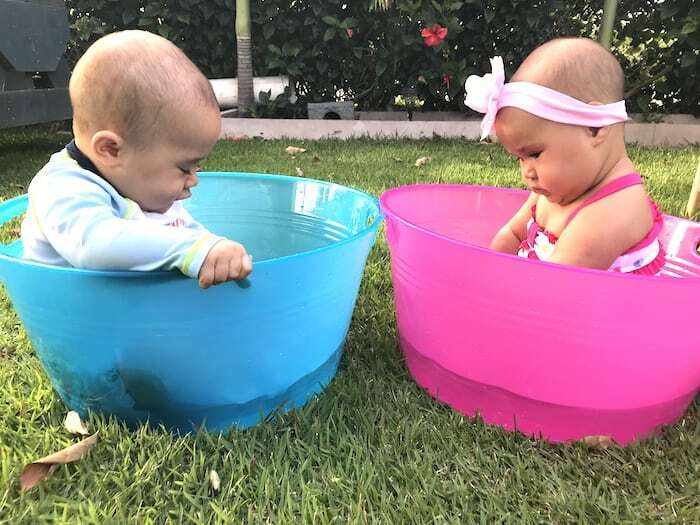 – Stephanie C.
Watching how amazing it is to see the differences in them, knowing they are raised in an identical environment. – Jennifer O. Listening to them laugh together!! Even 13 yrs later … it never gets old hearing their giggles & belly laughs. 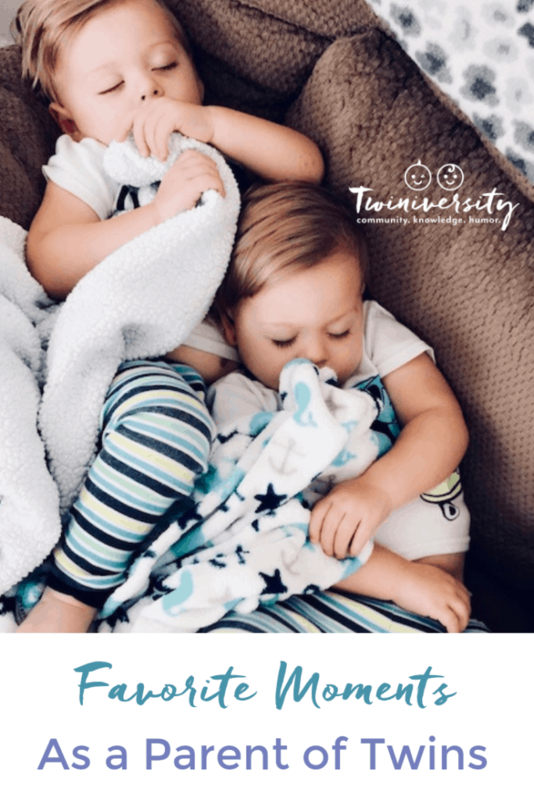 – Stefanie L.
Double snuggle nap time! First time they both napped on me! – Julienne V.
His mission in life: to make her laugh. He throws himself on the floor to hear her laugh. – Jessica K.
The fact that my twins made me a father… best feeling in the world. – Paul J. 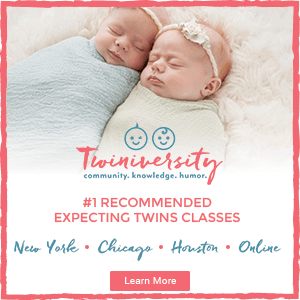 Comforting each other when they’re nervous or scared ❤ – Ashlee P.
LOL, there is no easy part of twins — twice the $, twice the hours! I love my girls but never ever again. 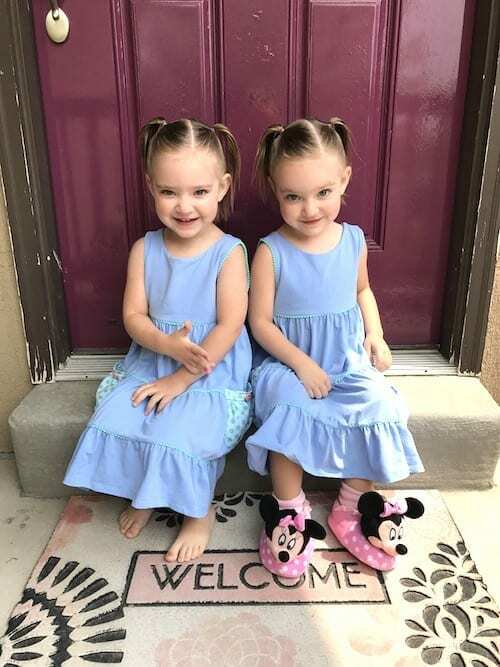 – Carolyn S.
The first time I held them both at the same time 💙💜 – Amy D.
How they watch out for each other and band together to get a job done! They are 3.5 boys. – Terry C.
The way they notice each other. They look for each other. They connect verbally in a way I’ve never seen. – Kathleen C.
Too many to choose. But I love how they always look out for each other. Mine are 9. 😁 – Erin B. We love how VERY different our girls are. Both totally wonderful in their own little ways 😊. – Danica G.